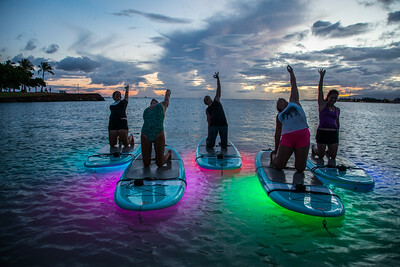 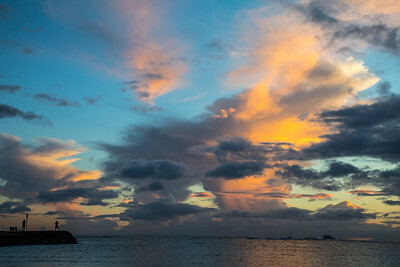 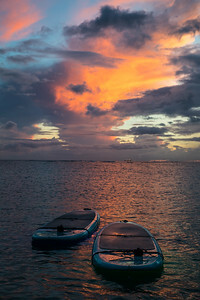 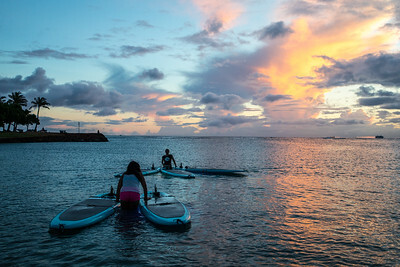 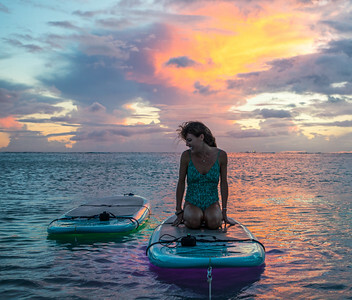 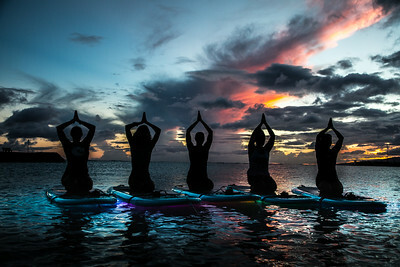 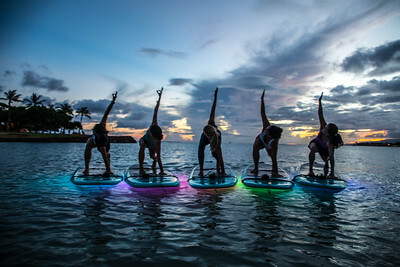 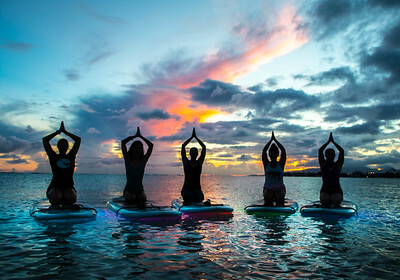 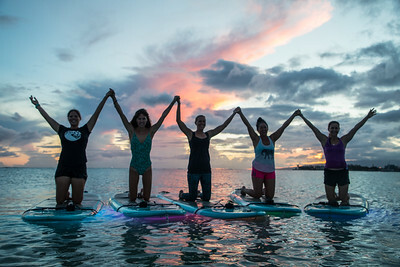 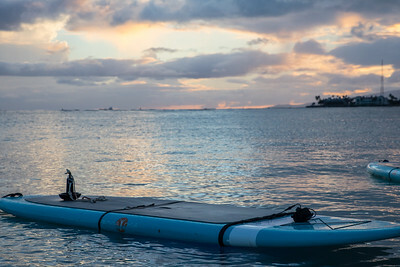 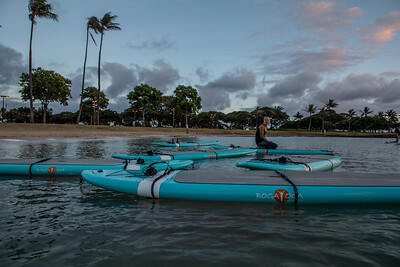 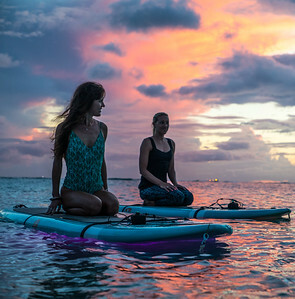 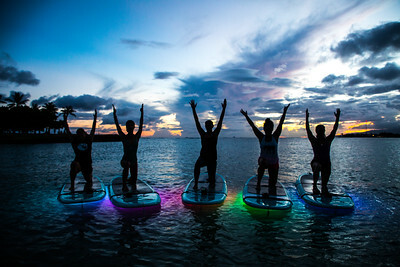 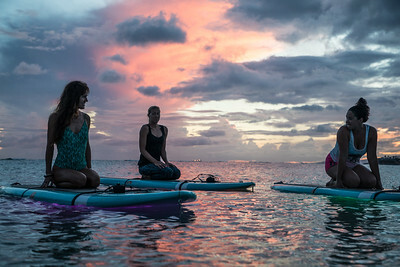 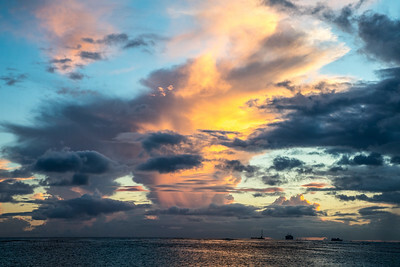 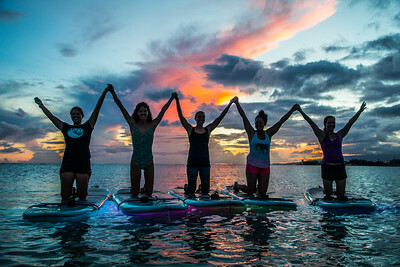 Yoga Floats is owned, run, and operated by the amazing Kelsey Barden and takes place daily at Ala Moana Beach Park, directly adjacent to the Magic Island Parking area in Honolulu, Hawaii. 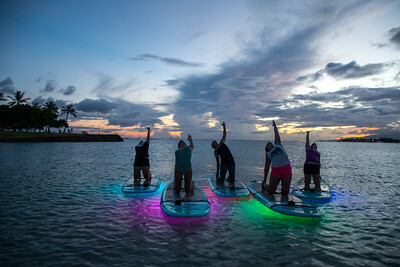 In addition to her unique, on the water yoga classes, Kelsey has added a new adventure for those wanting to do yoga outside after dark. 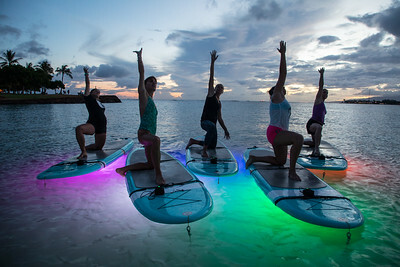 Using underwater colored LED lights, Yoga Floats now illuminates the water below as you move through your poses guided by Kelsey. 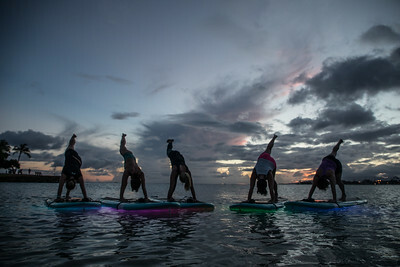 Check out her website and sign up for a class for the most unique yoga experience on the island!